The new smoke-free law applies to virtually all 'enclosed' and 'substantially enclosed' public places and workplaces. 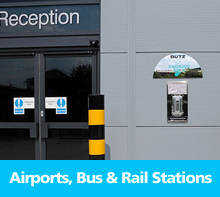 This includes both permanent structures and temporary ones such as tents and marquees. This also means that indoor smoking rooms in public places and workplaces are no longer allowed. The new smoke free law has been introduced to protect employees and the public from the harmful effects of second-hand smoke. It is against the law to smoke in virtually all enclosed public places, workplaces and in public and work vehicles. Indoor smoking rooms in public places and workplaces are no longer allowed. 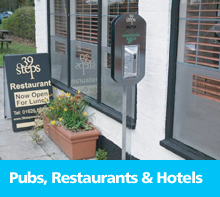 Managers of smoke free premises and vehicles have legal responsibilities to prevent smoking and to ensure that no-smoking signs are displayed as required by the new law. The law applies to anything that can be smoked. This includes cigarettes, pipes, cigars and herbal cigarettes. Failure to comply with the new law will be a criminal offence. Local councils are responsible for enforcing the new law. They will offer information, advice and support to businesses to help them to meet their legal obligations. You can find out more information on the new law on the Smokefree England website at www.smokefreeengland.co.uk or call the Smokefree England information line on 0800 169 1697. In September 2007, Several UK Councils worked with ENCAMS (Keep Britain Tidy), on a campaign to raise awareness of the problems of cigarette litter and to remind smokers to disposeof their cigarette butts responsibly. The 'No Butts' campaign makes the message clear - littering is not acceptable. Reminding smokers that they should dispose of their cigarette ends responsibly - if they don't, they could be hit with a £75 fine. Smoking related rubbish is now the UK's biggest litter problem. The recent ban on smoking in public places ensures a healthier environment for everyone but as public buildings become no smoking zones, our streets could become littered with cigarette butts. If you are caught dropping litter in a public place, you will be fined up to £75. 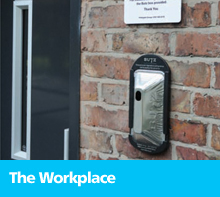 Businesses also need to take responsibility for the potential of extra litter caused by staff and visitors smoking outside of, or in the vicinity of, their premises. 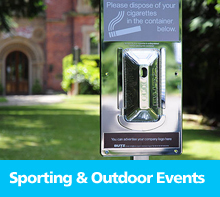 Businesses may wish to consider installing stubbing-out bins for cigarette ends. In research carried out by ENCAMS - " Keep Britain Tidy " (1996), 96% of smokers aged 21-25 admitted that they threw their cigarette ends on the ground, and 46% of all smokers claimed they had never used a bin for their cigarette ends. The main reason quoted was the perceived fire hazard.